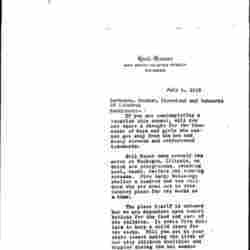 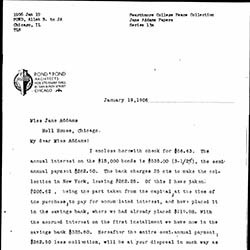 Subject is exactly "Hull-House, finances"
Alice and Sarah C, Robson agree to lend $2,500 to the Hull-House Association, which will be paid back at $100 per year unless both die before it is repaid. 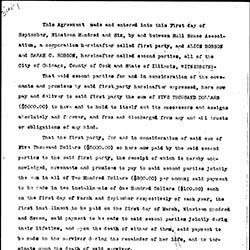 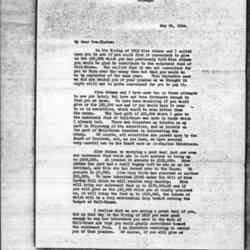 Alice and Sarah C, Robson agree to lend $5,000 to the Hull-House Association, which will be paid back at $200 per year unless both die before it is repaid. 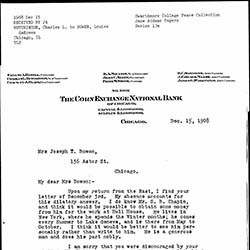 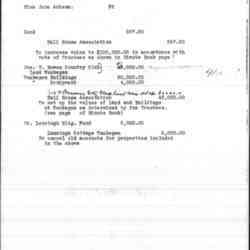 Robson sends Addams the first installment of a $5,000 loan to the Hull House Association. 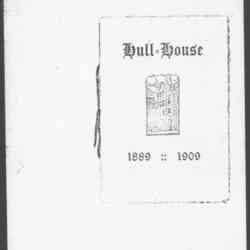 Pond enclosed an interest check on bonds issued for Hull-House. 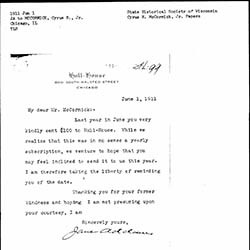 Hutchinson offers Bowen leads for securing donations for Hull-House and discusses future visits. 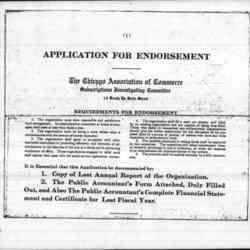 An application for endorsement as a charitable organization from the Chicago Association of Commerce. 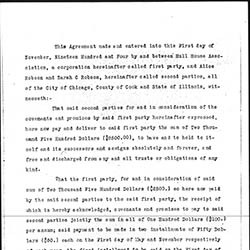 McCormick agrees to give a donation to Hull-House, but he declines to make in an annual contribution. 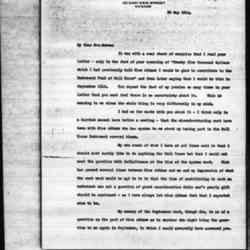 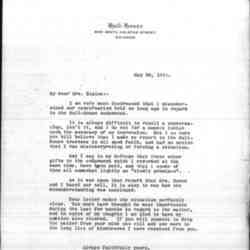 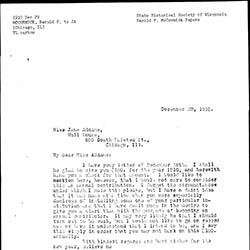 Rice sends Cormick bills at the request of Addams. 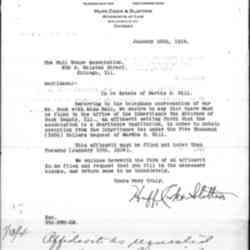 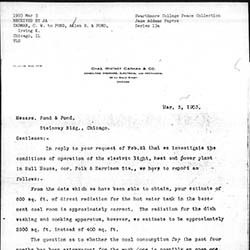 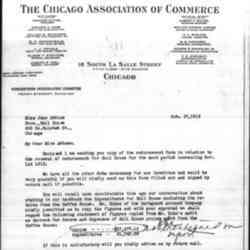 Stewart asks Addams to fill out an attached form in regards to the Chicago Association of Commerce's endorsement of Hull-House. 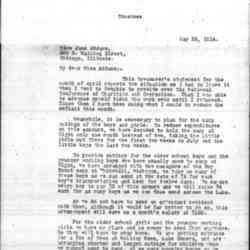 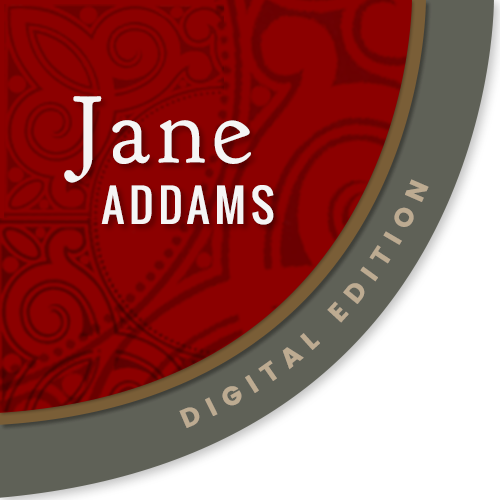 Addams asks Blaine to help expand a Board of Education committee, and seeks Blaine's annual donation to Hull-House. 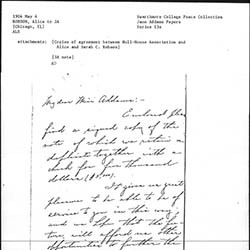 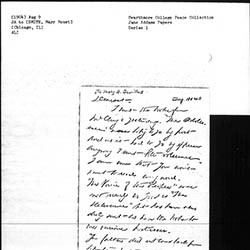 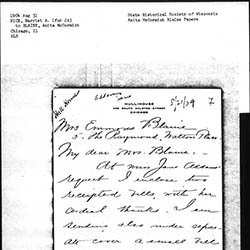 Addams reminds Blaine to send her contribution to Hull-House before January 1, to help them correct poor finances. 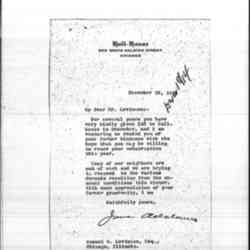 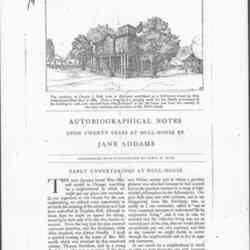 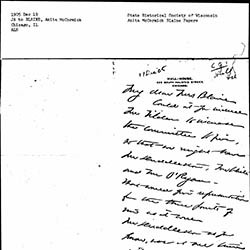 Addams asks McCormick for a donation to support Hull-House. 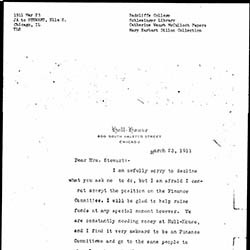 Addams declines Stewart's invitation to serve on a finance committee of another organization because of her own need to raise funds for Hull-House. 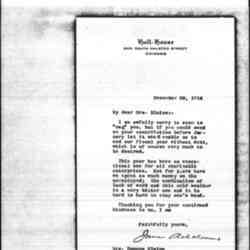 Addams thanks Culver for her generosity in helping with Hull-House's bills. Addams apologizes to Commons for the delay in sending his check. 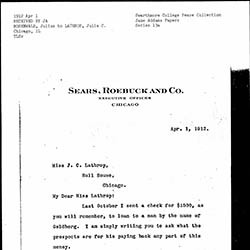 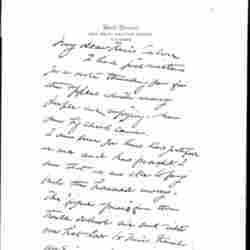 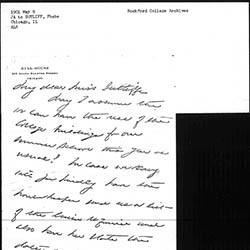 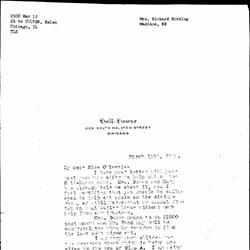 Rosenwald writes Lathrop about a loan he made to a man named Goldberg.